It's official. I love this author/writing pair and their work. When I read the previous book in the series, they entered my will-read list of author. And with this book, they've just confirmed their place in my historical romance must-read list. Where should I start in my praise? Is is the lush and vivid historical setting that transport you back on an adventure or the beautiful details that pull you into a scene and yet doesn't distract you from witnessing the actions unfold. And of course I have to mention the characters because these stories are about them--capable and confident men that are not cowered by the feisty and fearless women they are matched with. And you don't get more fearless than Arbela. She is a demon with a bow and arrow and you certainly don't want to be opposite her in battle. She is one fierce lady and I loved her. Of course like every other woman of her class in the historical setting, she is expected to accept a marriage arranged by her sire. 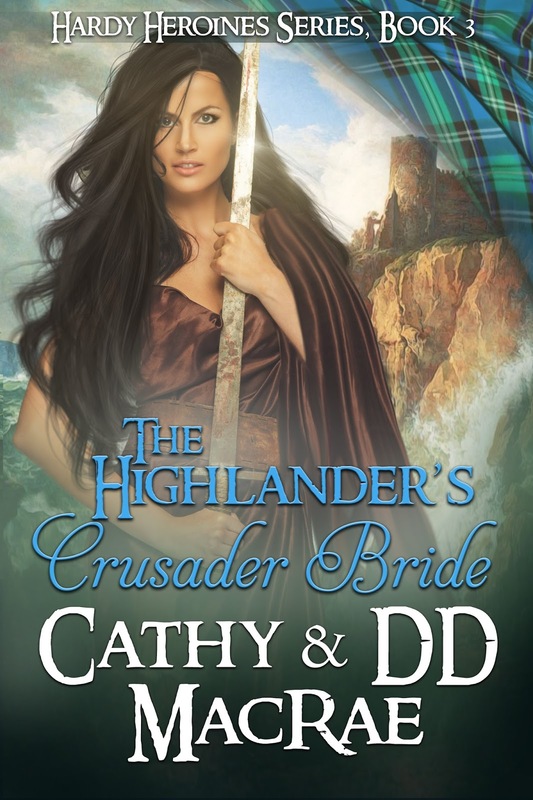 She doesn't want to get married, certainly not to some Scottish Laird when she'd rather be defending a Christian Keep in the The Holy Land from the Saracens. Caelen doesn't want a wife. Not after a disastrous loveless first marriage. But he needs a partnership with the MacLeans, which means marriage to Arbela. They come to an agreement. So the questions becomes, will a marriage of convenience morph into a marriage of passion? Arbela needed to loosen up and Caelen needed to lay the ghost of the past to rest. I must say, I really wanted these two to fall in love with each other. A wonderful read and one I highly recommend to fans of medieval/Scottish/historical romance.